As its title suggests, the series is a spinoff of “Miss Fisher’s Murder Mysteries.” Note the inclusion of “modern” in the spinoff’s title. That is because it unfolds at a later date than its predecessor. “Ms Fisher’s Modern Murder Mysteries” is set amidst the ‘1960s (1964 to be precise). “Wanted’s” co-lead Geraldine Hakewill stars in the title role as Peregrine Fisher, the niece of the original series’ main character, Phryne Fisher. The action takes place in Melbourne as Peregrine inherits her aunt’s fortune following the latter’s disappearance in New Guinea. Peregrine never knew her aunt. However, she plunges headfirst into taking over Phryne’s mantle as a private detective with direction from The Adventuresses’ Club. It is a decision that is destined to kick off a lot of eventful happenings. Watch the trailer here. The show's debut season is comprised of four episodes, which all run at feature length. So, expect the equivalent of four TV movies. Nice! You will not have to wait too much longer to start watching. 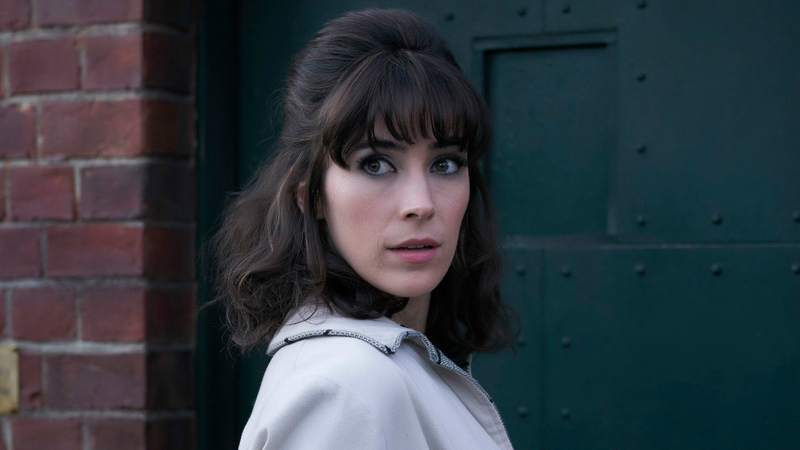 “Ms Fisher’s Modern Murder Mysteries” premieres Monday, April 29, 2019, on Acorn TV. Based on the trailer, this seems like the perfect vehicle for Geraldine Hakewill. As Chelsea on Netflix’s “Wanted,” she gets a chance to play an exuberant character navigating a world of intrigue. Her transition into playing a character engaged in full-blown mystery-solving mode should be nothing short of fun. For fans of Geraldine Hakewill’s work on the action-adventure series, “Wanted,” it will probably be an adjustment to see her flying solo. With Hakewill's Peregrine having the Adventuresses around, she should have her pick of companions. Maybe one of them will befriend her, and they will team up. It would be neat for Hakewill to have that sort of on-screen dynamic to play. Whether with a buddy or without one, “Ms Fisher’s Modern Murder Mysteries” should be a compelling vehicle for the talented actress. As demonstrated in "Wanted," she has equally outstanding comic timing and dramatic skills. Hakewill's ability to shift between the two is part of what makes her take on Chelsea, so multi-layered on “Wanted.” Hence, "Ms Fisher's Modern Murder Mysteries" has undoubtedly cast a terrific actress to lead it. Let the adventure and mystery begin! You can catch Geraldine Hakewill in "Ms Fisher's Modern Murder Mysteries" on Acorn TV starting Monday, April 26.